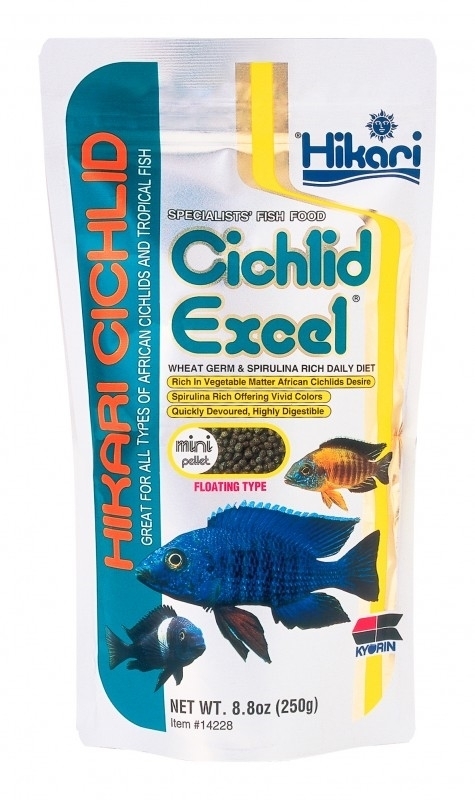 A Daily Diet For Herbivorous Cichlids And Larger Tropical Fish A specially formulated daily diet for herbivorous (plant eating) cichlids and larger tropical fish offering higher levels of vegetable matter. A perfect balance of a number of natural ingredients meant to meet the nutritional demands of most herbivorous fish. Offers a taste even the most finicky eater will love. Use of the inner most portion of the wheat germ kernel offers more rapid digestion and beneficial nutrients your freshwater herbivore craves. Contains pure-cultured Spirulina which can improve color enhancing capacity. Developed over many years of continuous research, this uniquely balanced formulation helps support immune system health. When you’re looking for the best, trust Hikari®, the originator of premium aquatic diets!